In 1945, Ireland launched a unique aid campaign which saved over 1000 children in war-torn areas of Europe from starvation. The children stayed up to three years in “their” Irish families, some stayed for good. The film tells the unknown, touching story of “Operation Shamrock", which had an unforeseen impact on the futures of the children it rescued. Five of them look back. 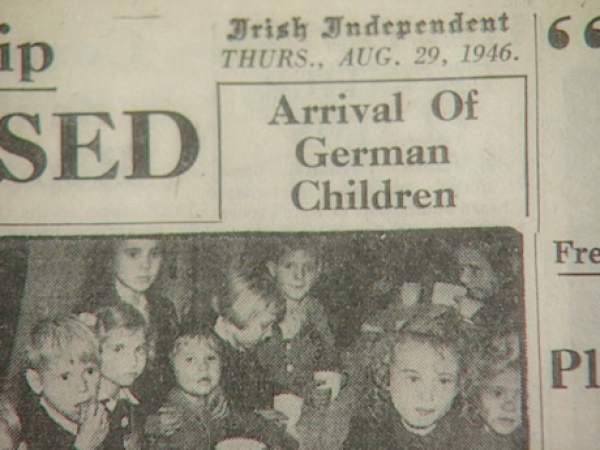 250 former children from Germany and France, who came to Ireland via “Operation Shamrock”, have been tracked down for the film, a research that took three years. Archives of the Irish, French and German Red Cross, the German Embassy in Ireland and newspaper archives of the National Library in Dublin had to be browsed. In July and August 2001 Anna Schmidt travelled to Ireland to continue her research on site for another five months. Only then the story of the children’s aid campaign could be told publicly for the first time. The film was shot in February, July and August 2002 in Ireland, France and Germany.